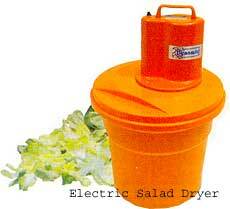 Manual or electric salad spinners, ideal for drying delicate salad. 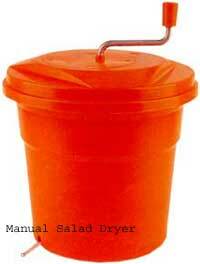 Simply place salad leaves in drum and either turn handle or start motor to give perfect, ready to use salad. Electric Washer-Drier (as shown) to wash dry greens and vegetables. Capacity per cycle in weight: 4kg: in leaves 1.5k. Output 25kg/hr. 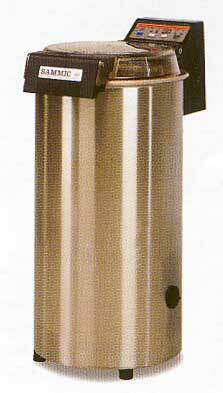 Manufactured in stainless steel and suppllied with basket. 2 cycle timer with three different durations per cycle and 2 speeds.